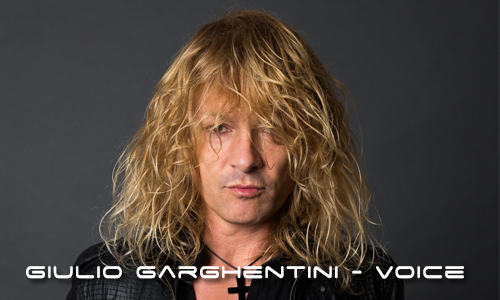 He currently plays in Revolution (Guns and roses tribute band) and Dream Company (Bon Jovi tribute band); the first Dream Company full-lenght album will be released in 2019. In 2013 he released his first solo album “Believe”, followed by the single “live it up” in 2016. He is vocal teacher in Tanzan Music Academy, one of the most important music centres in Italy. 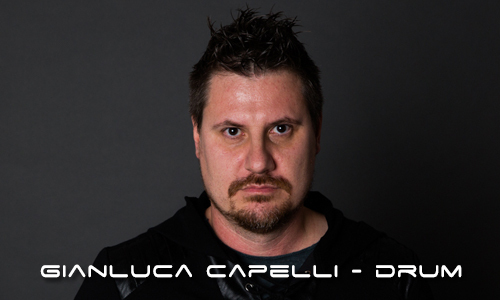 He is one of the founder member of Dark Horizon, and he played in all of the albums they released from the beginning. 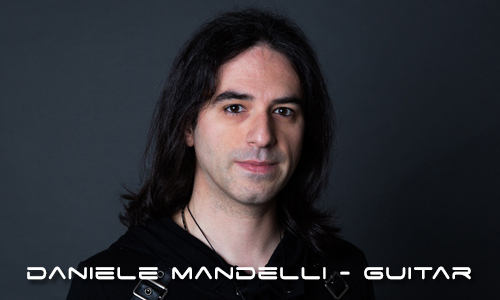 He works as sound engineer nd producer; he worked with a lot of artists and bands ( see https://www.metal-archives.com/artists/Daniele_Mandelli/125531 ) and he produced and mixed the last albums of the band. Led Zeppelin, Iron Maiden, Helloween, Angra, Blind Guardian, Kamelot, Ritchie Blackmore, Slash, Jimmi Page, Eric Johnson. He plays Gibson guitars, Mesa amplifiers, and MXR pedals. Together with Daniele, he founded the band and he played in all the albums of their discography. He is also one of the members of Ghost City, symphonic metal band; they published their first full-lenght album “tragic soul symphony” in 2015. He played in “in the name of father” by Enzo and the glory ensemble, released in 2017, and he is working on the new album of “sangreal”, that will be released in 2019. 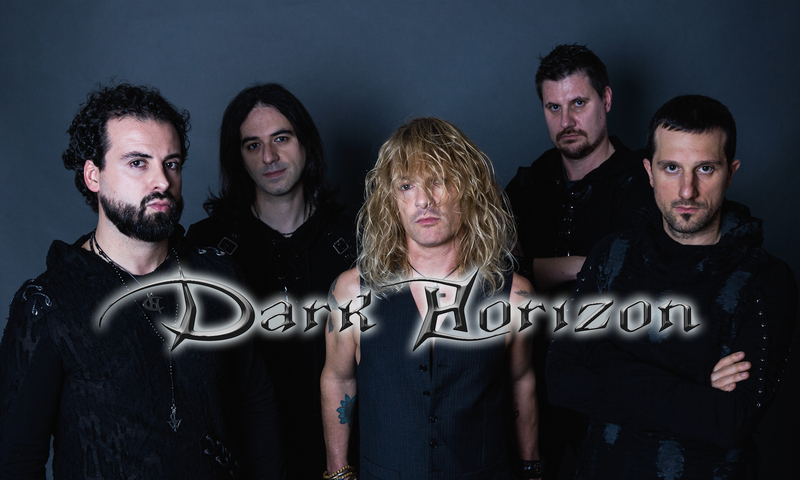 He joined Dark Horizon in 2014, and with them he recorded the single “Christmas Allelujah”, the EP “Metalhead” and the last “Aenigma”. He is also the singer and guitar player of “Black Sheep”, heavy metal band; with this band he released the first full-lenght “Black Sheep” in 2014 and the single “Before this night is through” in 2017. In the past he was the singer of “Powerhouse”, a Deep Purple tribute band. He is working on the first album of a new doom metal band, that is planned to be released in 2019. He plays Yamaha bass and TC electronics amp. 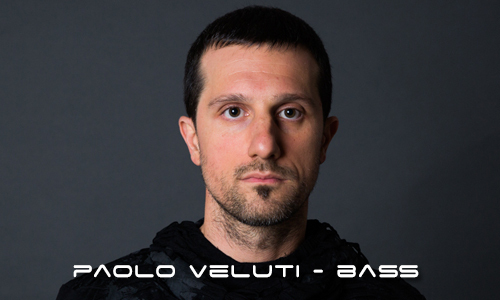 He joined Dark Horizon in 2003, and with them he recorded all the released albums, singles and EPs from “Dark Light shades” to the last “Aenigma”. In 2017 he joined Black Sheep and recorded the “before this night is through” single; now he is working on the first album of “Clockwork”, a symphonic metal band. Meshuggah, Kamelot, Fates Warning, Terry Bozzio.